The one-sentence poem has proven to be a compelling and persistent poetic device through the ages. 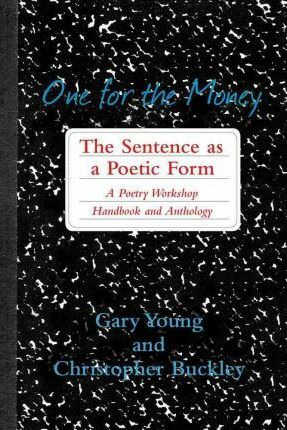 This anthology offers strategies and prompts for using the single sentence as a principle of poetic structure, a rhetorical tool, and a stimulus. The book includes an extraordinary array of one-sentence poems from a wide range of historical periods, poetic perspectives, and lengths--from epigrams and aphorisms to sonnets, lyrics, and narratives that range over several pages. More than 80 poets are represented, from Shakespeare to Kay Ryan. Christopher Buckley has published 17 books of poems and teaches at the University of California, Riverside. Gary Young has published several books of poems and also designs, illustrates, and prints limited edition books and broadsides at his Greenhouse Review Press.